Many homeowners in Bonney Lake, Washington have continued to invest in the latest and greatest garage doors. The newest garage doors offer a few extra security features which many homeowners find helps to deter potential thieves. 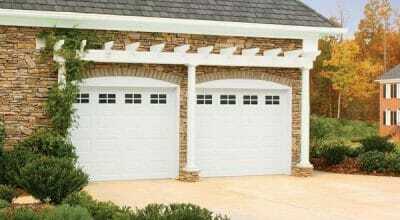 However, at its heart, even the most expensive garage doors have the same primary function and mechanism. So, in most cases, they require the same level of care and maintenance. While homeowners can perform much of the maintenance mentioned in the garage door’s user manual that isn’t always enough. Also, when these high tech doors fail, they need to call professional Elite Garage Door Repair & Replacement In Bonney Lake WA. We cater to the entire Bonney Lake area and are just one call away. Regardless of if you have the latest sensor driven garage doors or an older model we can still fix any issues. We also provide comprehensive maintenance services. What’s more is the fact that in addition to a Garage Door Parts Warranty for every new part we install you also benefit from a 90-day labor warranty. So, you have peace of mind knowing that your garage door is reliable. If your latest garage door is giving trouble one of the biggest mistakes you can make is hiring a garage door repair company that’s not certified and without experience. Many professionals still can’t repair the latest garage doors, and so they end up doing more harm than good. When in the market for a professional service always make sure that they are certified. At Elite Garage Door Repair our professionals are all certified. They have years if not ages of experience performing tasks like tension spring repair and replacement. 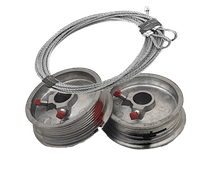 As a matter of fact, we are one of the few Garage Door Spring Repair & Replacement services who have no problem backing their workmanship with a warranty. 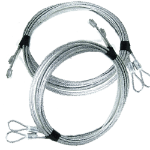 We also guarantee that the springs we use are the very best. Garage Door Opener Repair & Installation Just One Call Away! Don’t let a spoilt or failing garage door opener ruin your day. Many people make the mistake of believing that their garage door opener is faulty when it could be something else. Over the years we’ve rarely seen problems with garage door openers that were less than five years old. However, when called, our professionals make no assumptions about the problem. They come fully prepared to your home to fix anything! Elite Garage Door Repair provides around the clock professional emergency garage door repair services. Our professions work around the clock and will respond to calls within a few minutes. Plus, regardless of how late it is, they come equipped to fix anything and everything permanently. Afterall we value your time. So, you don’t have to worry about calling a professional again the following morning which saves you time in addition to a lot of frustration. Call our professional garage door repair services today, and we will arrive right away. How Safe is Your Garage Door? Is it Safe from a Thief?